Having a disability is no laughing matter and can be life-altering. You’re unable to do the things you were once free to do and you may feel helpless and possibly depressed. 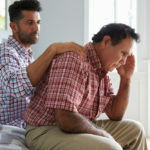 It can add pressure to your family as they care for you and have to make sacrifices to assist you in your time of need. Disability can be emotionally draining, but it doesn’t mean the end of the world. Especially if you have a strong support system around you willing to provide you with assistance. If you’re out of your work because of your disability, know that there are countless resources out there to help you cope on emotional and financial level. Don’t be afraid to seek out counseling to help you navigate your emotions. There are plenty who have or are in the same boat as you who can help you cope with the emotional effects of disability. You are not alone and should never feel so. There are also disability programs and grants available to help you cope with the financial and physical demands in front of you. Set a Budget. Create a realistic budget for your wants and needs. It may mean sacrificing time on money you’re used to spending. Donate blood. There are plenty of people in the world who need your blood. Blood donations pay in more than just financial ways. Studies show that donating blood is actually healthy too since you release excess iron. Sell unneeded things. A garage sale is a great way to make extra money while you’re on disability. You never know what you might have stored away in your basement that might benefit someone else. It’s also a good way to clear out your home and possibly make money for practical needs and expenses in your home. Seek online donation. If you find yourself in a temporary bind because of a disability, seek out online assistance to help you with your bills. There are kind strangers who are happy to assist you with any medical and financial needs. Don’t be afraid to reach out! You may even make some new friends. Do some freelance work. Today there are endless opportunities for online work. Many companies employ freelance employers to work from home and anywhere. You can work at your nearest coffee shop or local library! The possibilities are endless. What are your skills and talents? Use your time to explore areas that you may have set aside in the past. As the saying goes, your setback could turn into a setup! Disability does not mean the end of the world, but it does help to be prepared. Be sure to do the research and learn about your options. Find helpful ways to help you cope practically every day with your physical limitations. Don’t become discouraged! Make the most of your time and try to maintain a positive attitude.